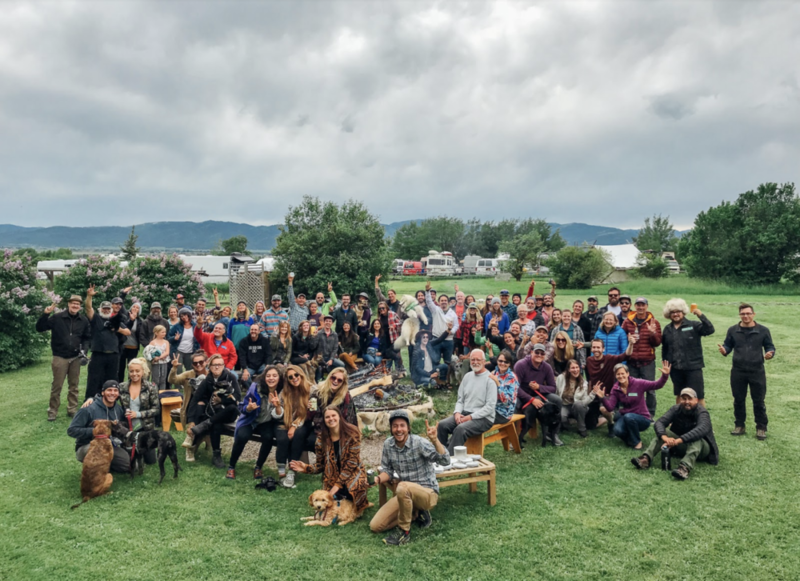 The first ever Teton Valley Vanlife Gathering was an incredible experience, and it ended much too soon! 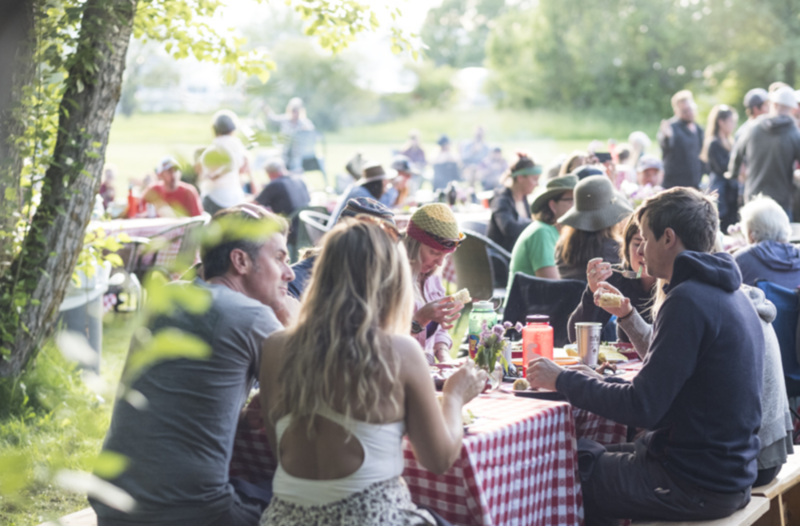 Over 100 nomads traveled from near and far to the Linn Canyon Ranch in Victor, Idaho, nestled against the western side of the spectacular Teton mountains, to enjoy each other's’ company over the weekend of June 15-17, 2018. 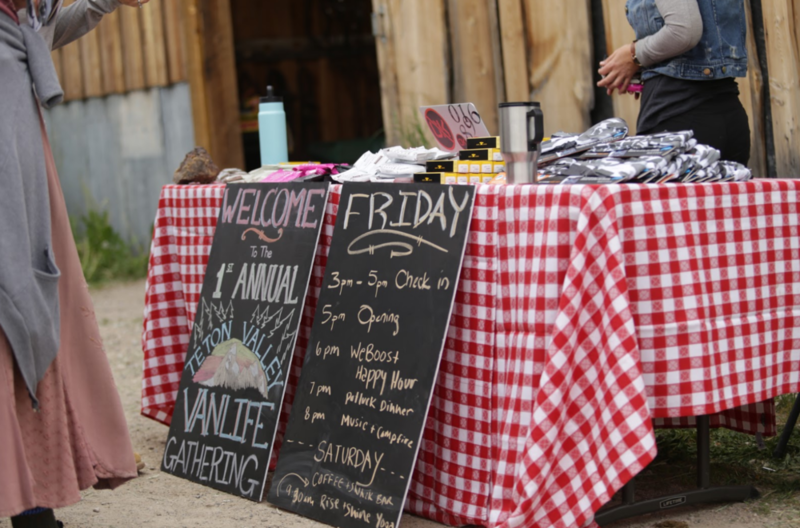 An important goal for the Teton Valley Vanlife Gathering was to bring like-minded individuals together to share ideas, develop new friendships, and enjoy our supportive and enthusiastic community of vandwellers, road-trippers and rubber tramps in a spectacular mountain setting. Something that makes the Tetons so special is their isolation. You really have to make an effort to get there...and once you arrive you are rewarded with some of the most spectacular mountain scenery in the lower 48. 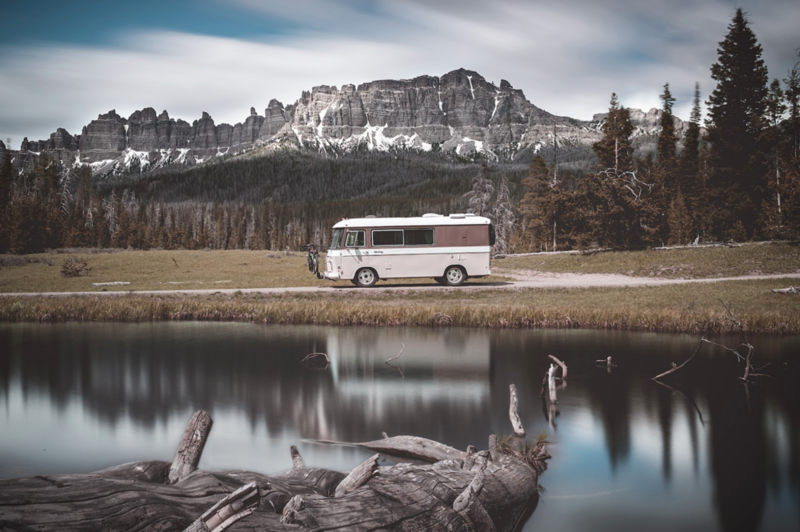 We chose the Idaho side of the Tetons because it’s close to the national parks many come to enjoy (Yellowstone National Park, and Grand Teton National Park were just an hour or so away), but it’s got a much smaller and intimate feel, away from the hustle and bustle of Jackson. 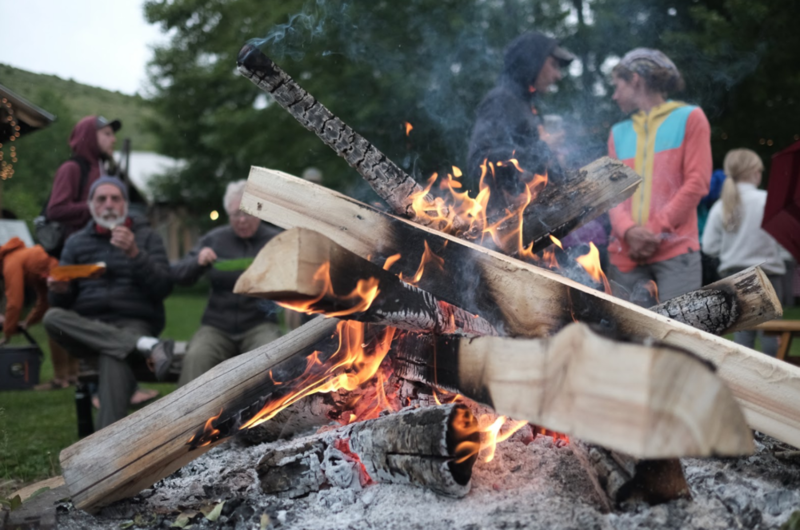 Many of the attendees had never been to Yellowstone, Grand Teton or the Teton Valley, and chose to make an extended, memorable trip out of the weekend, coming early and continuing on to explore the world-class flyfishing, hiking, incredible hot springs and geothermal features in the area. 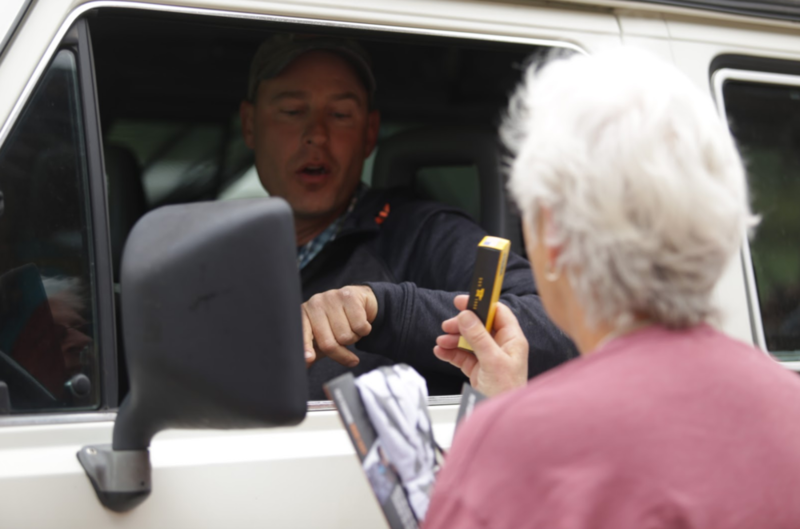 At check-in on day one, anxious and hungry attendees received complimentary RX bars and their pick of a buff from Wetfly Fishing or a pocket knife from Buck Knives. 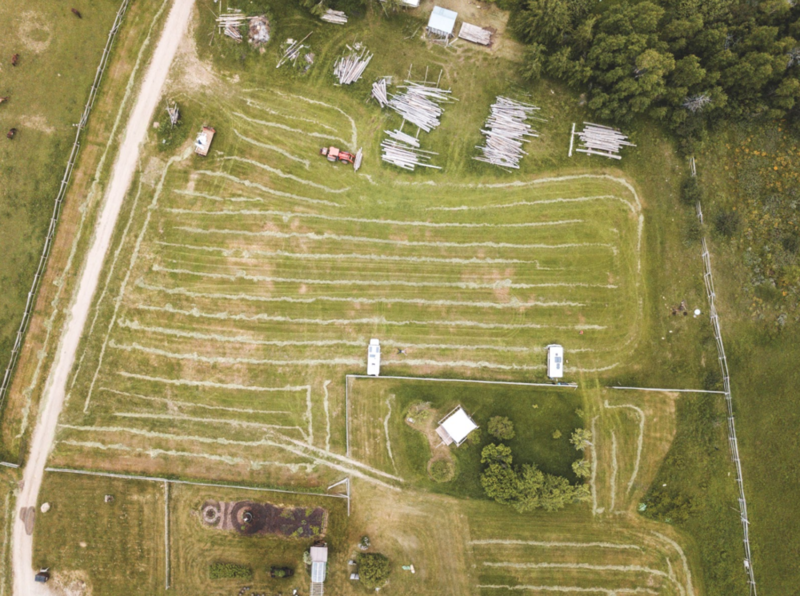 Volunteers helped direct travelers to our home for the weekend, a freshly-mowed field where everyone parked their vans, circling the entire field and creating multiple rows in the middle. Later that afternoon, we gathered for a welcome ceremony led by Amanda, Matt & Kathleen, the hosts of the gathering. Another goal for the weekend was to keep our event a Leave No Trace event. 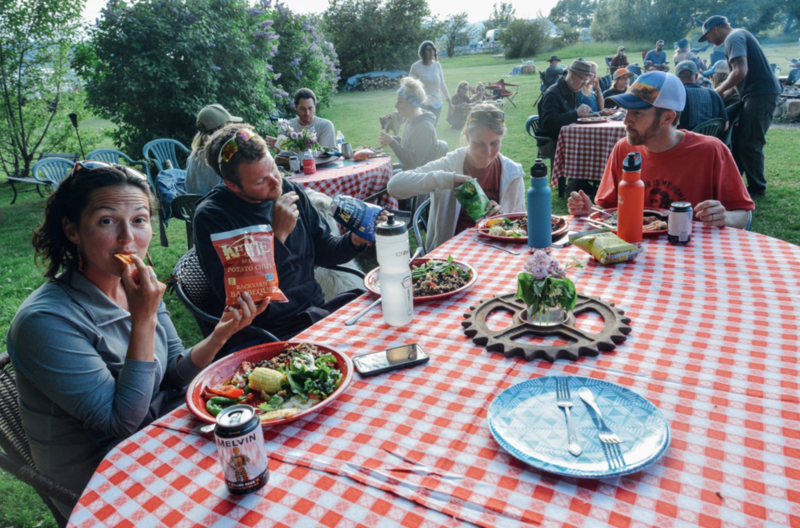 We were lucky to have Patrice and Justin of Leave No Trace’s Road to Zero Team in attendance. 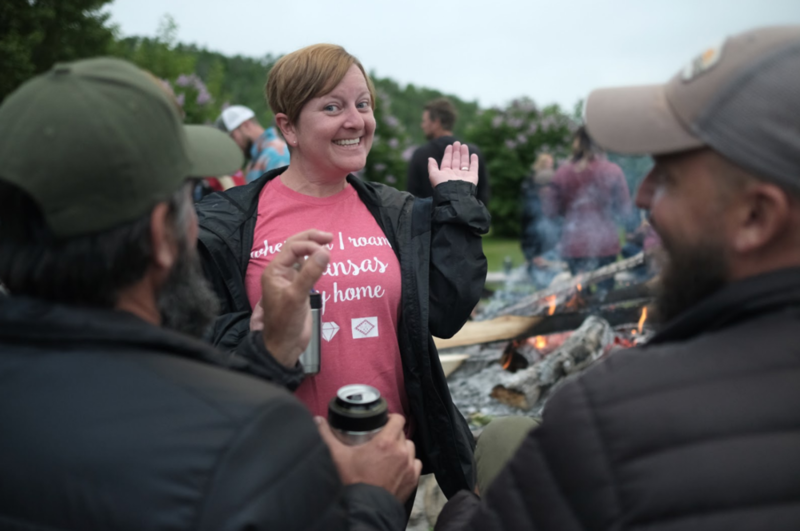 At the kickoff, they shared information about Leave No Trace and the Zero Landfill Initiative, and charged us with a weekend challenge: The Cleanest Campsite Challenge. 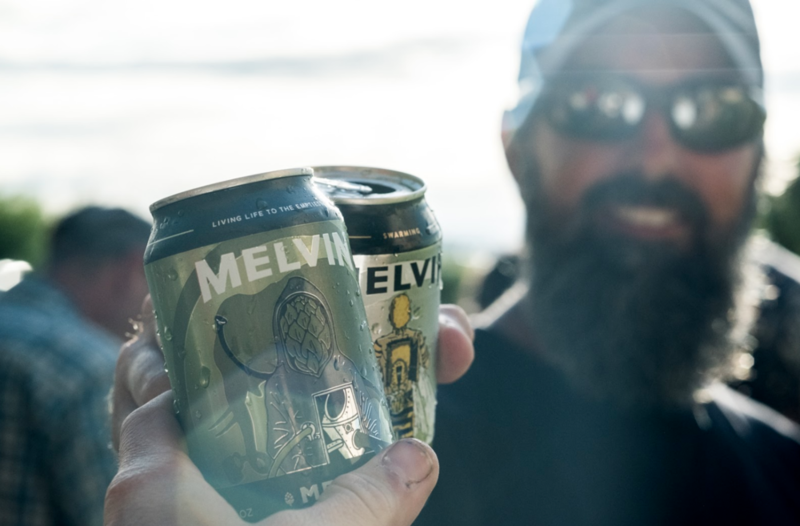 Everyone enjoyed complimentary beer, graciously provided by Melvin Brewing Company of Alpine, Wyoming. Later that evening, we reconvended for a potluck dinner, which had more delicious food then we can begin to describe. The tables overflowed with options for all: including fresh salads, entrees like vegetable curry (vegan-friendly! ), and desserts. We all ate more than our fill, and gathered around the massive bonfire to socialize with new and old friends. We danced, clapped, sang and howled at the moon thanks to the wonderful music of B.R. 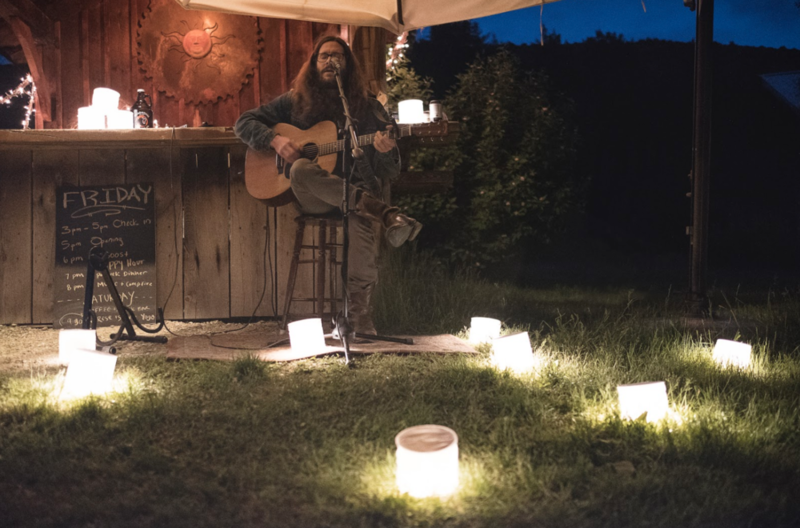 Lively, a full-time traveling musician who joined us for the weekend, with waterproof, solar mood-lighting provided by Mpowerd’s Luci Lanterns. We started Day 2 bright and early with a ‘Rise and Shine’ yoga class sponsored by Shine Organics and taught by local instructor Jen Werlin. A little rain didn’t stop us from gathering in the charming Linn farmhouse to start our morning moving together. We were excited to see so many people who had never attended a yoga class try something new. 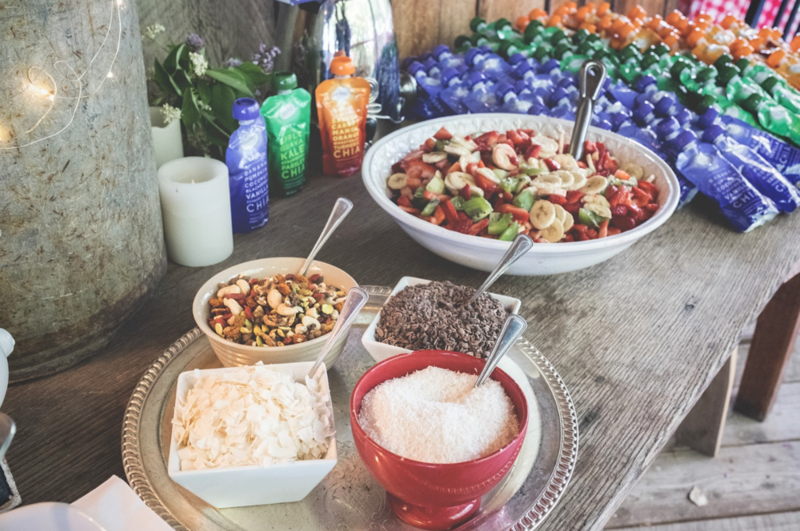 After stretching our bodies and calming our minds, we all gathered to enjoy complimentary coffee provided by Verve Coffee Roasters and a healthy organic breakfast buffet including superfood puree, fruit, nuts, and yogurt all provided for us by Shine Organics. After breakfast, our local non-profit partner, the Jackson Conservation Alliance came by the ranch to share information about the most pressing local issues, including one that is especially relevant to us as vehicle-dwellers, their Safe Wildlife Crossings Initiative, which uses data-driven planning to prioritize wildlife crossings throughout Teton County with a goal to reduce wildlife-vehicle collisions by ninety percent. We appreciated the chance to engage with and learn more about pressing environmental issues facing the local community, and especially to raise funds to donate to JCA. We spent the rest of Saturday afternoon doing all kinds of activities. Some people escaped to the nearby mountains for a hike, or motorcycle ride, while many of us toured each others’ rigs, recommended our favorite boondocking spots, and discussed plans for the upcoming month’s travels. 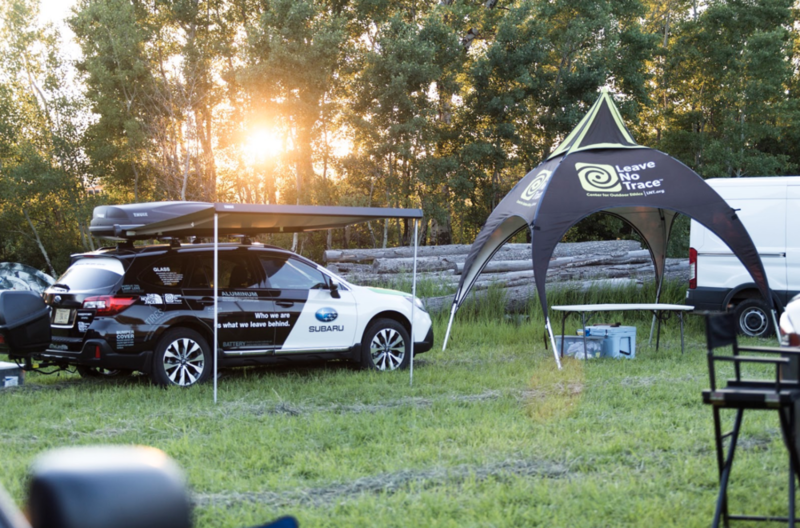 We headed to the Leave No Trace booth to enter our campsites into the Cleanest Campsite Challenge and learn about ways we could take our LNT efforts to the next level. At 4pm, we gathered for an epic gear raffle to raise funds for LNT. 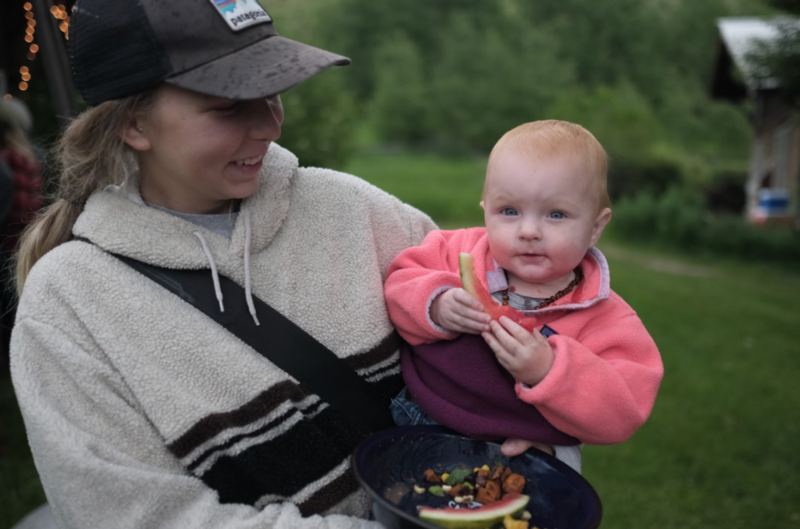 Thank you to all of our amazing sponsors who donated raffle gear: WeBoost, WETFLY, EcoFlowTech, Mpowerd, Stanley, Leatherman, Buck Knives, Be Kind Vibes, LowTide Longboards, Cotopaxi and Shine Organics. 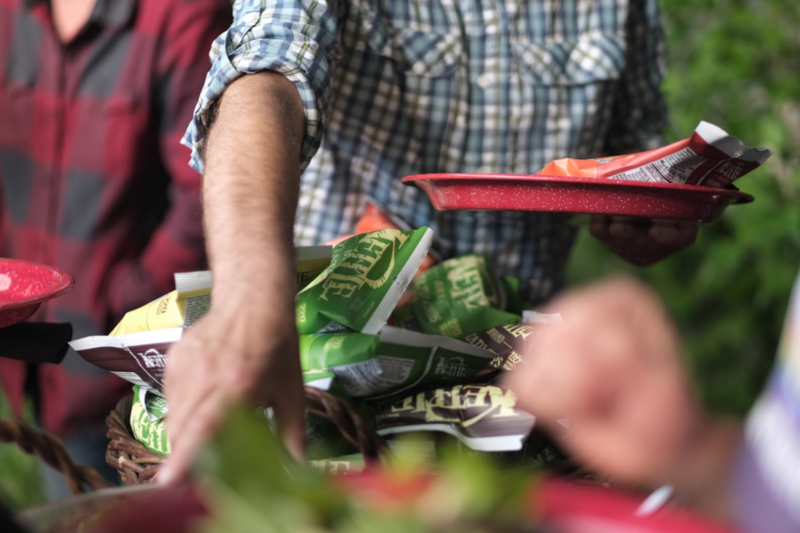 That evening, we all gathered for a local BBQ dinner sponsored by Kettle Brand potato chips and cooked on-site by the staff at the Lynn Canyon Ranch. The food was absolutely spectacular including local meats, vegetables, salad, and of course, lots of amazing flavors of potato chips. 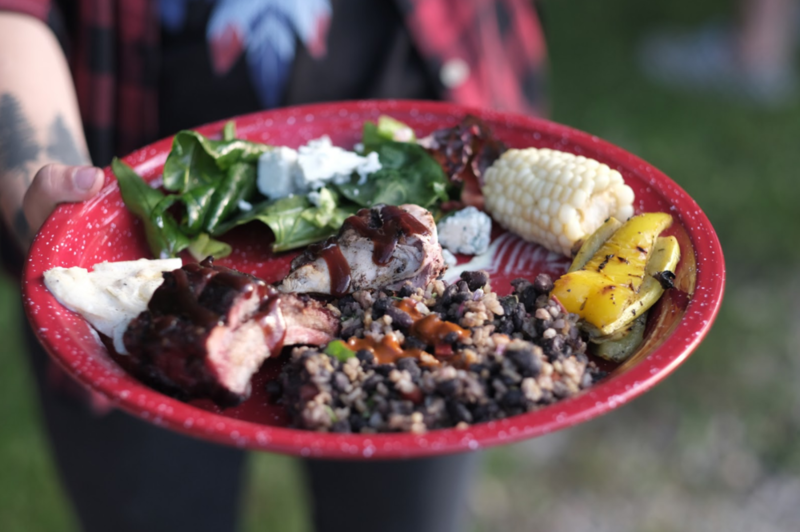 Everyone complimented the cooks and the quality of the food they prepared which was fresh and plentiful. Almost everyone went back for seconds. 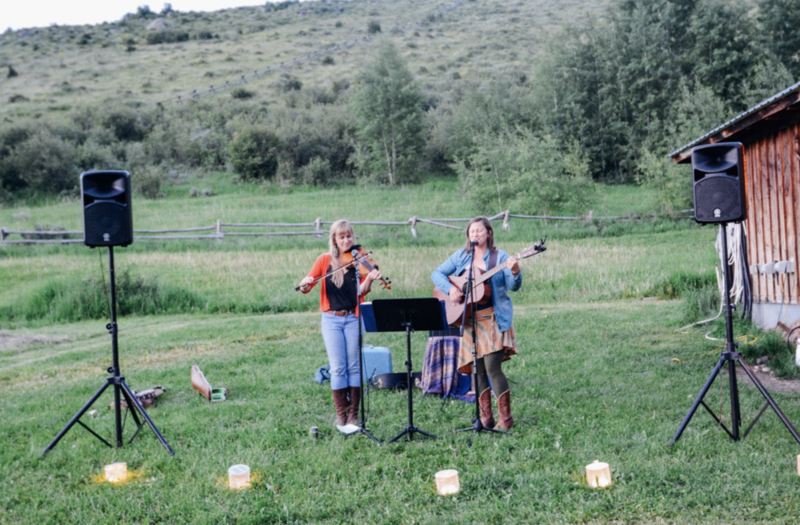 Our final evening at the ranch was filled with laughter, camaraderie, and more live music played by local musicians Becky Hendricks & Mary Neil. Sunday morning came with a bittersweet sunrise. We all had such an amazing time this weekend making new friends that we wanted to stay, but it was time to hit the road once again. And how can you complain about leaving a wonderful event like this when there are adventures to be had just down the road in Grand Teton and Yellowstone National parks? We exchanged hugs and contact information before driving our rigs down the dirt road on our way into the spectacular mountains of Eastern Idaho. 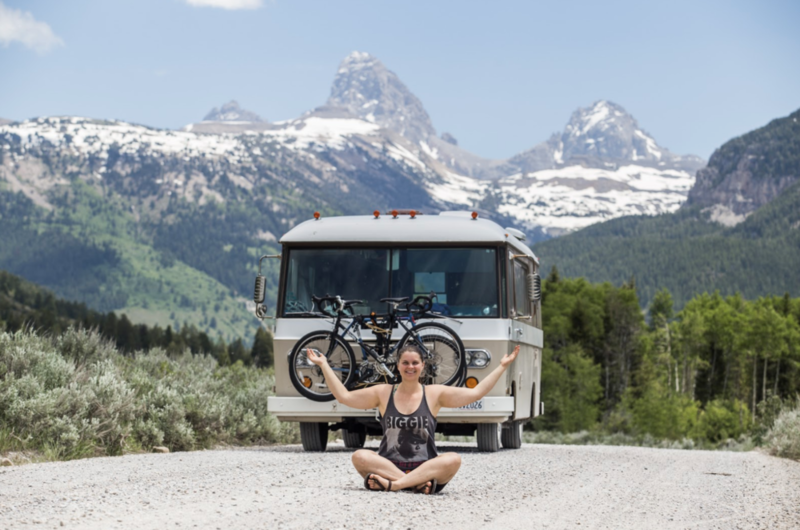 The weekend behind us and the open road ahead, we were absolutely blessed to have shared such a magical time with so many amazing souls that we’re already counting down the days until the next Teton Valley Vanlife Gathering in 2019. We hope to see you there!